Mustafa Mokashi, an Award participant from Sanganabasava International Residential School, Vijaypur, attended a Culture and Diversity Study Camp at Wayanad Wildlife Sanctuary, Kerala. The purpose of this study camp was to interact with the tribal people of the area and to know about their culture and their lifestyle. Here is what Mustafa learnt and explored. I can never forget my IAYP Adventurous Journey at Wayanad Wildlife Sanctuary, Kerala which was conducted from 1st to 6th of November 2015. This journey was one of its kind and taught me how to learn, explore and connect with nature and how to understand people, their culture, and their ways of living. My understanding of the world has changed now, thanks to the IAYP adventure section of the Award and thanks to my school for giving me this opportunity to experience learning outside my class. 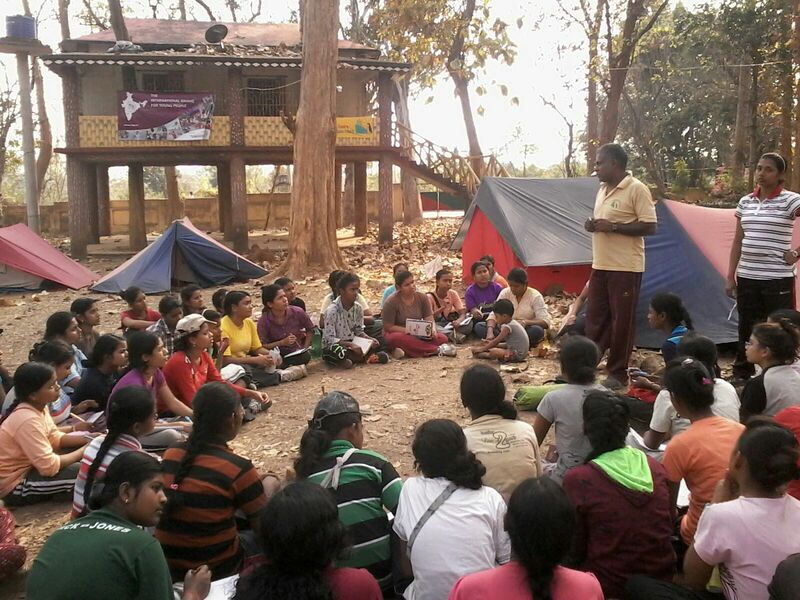 This Culture and Diversity Camp was of six days and on the first two days, we got the opportunity to stay on a farm in the middle of Wayanad Wildlife Sanctuary and then interact with the nearby villagers of the Adiyalar tribe. This experience was new to all of us, something we had never witnessed before. 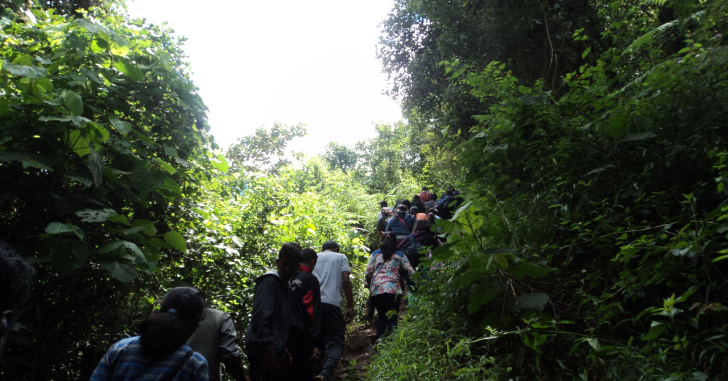 After the forest walk of the first day, on the second day we proceeded to the Bamboo village in South Wayanad. We stayed there in the homes of our new friends -- the tribal villagers. We interacted with them and leant about their food, culture and habits. Post lunch, we were all guided by the villagers to the bamboo groves and bamboo based village industries run by communities. Here we saw how different sorts of handicrafts, building materials and utensils could be made from bamboo; these villagers were our new teachers. When we saw all these, our textbooks seemed to come alive in front of us. We were further guided through different sorts of spice groves, paddy fields etc., and exploring traditional irrigation system called ‘Keni’ practiced by local tribes. In the evening we visited the Adiyar tribal colony and shared our experience of agricultural labours. Next morning our group visited Edackal cave arts – the biggest petroglyphs in India, which belonged to the Neolithic culture, followed by visit to a tribal medium and a trek to Chembra mountain peak. We also visited Soochipara waterfalls. It was a good experience for the city dwellers to experience silence in nature. That night was campfire night, which we all greatly enjoyed. So much had happened and there was so much to look forward in the next three days. On the fourth day, we started our visit to Thirunelli in West Wayanad inside Tholpetty forest through Banasura Dam. From here, we all visited the nearby tribal village and their farms. After the post lunch session, we visited Pazhasiraja tomb. The night was to be spent at the camp Thirunelli. The day was full of activities including exploring Thirunelli forest, Kurichiya tribal village, their traditional farms, Thirunelli temple and Bhramagiri Mountain. Next day we headed towards Thirunelli with Kurichiya, Adiyar and Kurumba tribal communities to explore their culture, cuisine and did some volunteer cleaning work. Last day after a small jungle safari the participants returned back to Mysore. This exploration journey helped all of us to learn a lot about the tribes, which included study about their cooking, medicines and real-life experience. We also got the rare experience to watch and explore the tree houses too. We were shown how the villager’s kept their environment clean and they did it by collecting plastics from the forest floor in Chinnar Wildlife Sanctuary. There were demonstration workshops on traditional arts which helped us understand the same. The most amazing part of the study tour was to the insight we gained into the lives of tribal groups and family, interactions with the tribals about their experience and life stories, learning traditional cooking, painting etc. The Sagar School, Alwar organised a two-day Annual Sports meet from 10th - 11th of October 2015. The meet was inaugurated by Mr. Shiva Keshavan, Asian Cup Gold medalist, five time Olympian and the first Indian representative to compete in Luge at the Winter Olympic Games. Also presiding was Ms Jayshree Balasaria, Principal, The Sagar School, Alwar. All Award participants from the school participated in the event to exhibit their strength in Physical Recreation. The main attraction of the event was the Military band, which exhibited a perfect ceremonial start. Besides The Sagar School (Alwar), Suncity World School (Gurgaon), Delhi Public School (Sushant Lok), Bal Bharti Public School (Manesar), Salwan Public School (Gurgaon), Colonel Central Academy School (Gurgaon), Aravali Public School (Ferozpur Jhirka), St. Xavier School (Bhiwadi), St. Anselms School ( Alwar), V. L. Memorial Public School ( Alwar), Alwar Public School ( Alwar) and Sunhill Academy Senior Secondary School (Kishangarh) participated in the Inter School Basketball matches and Triathlon Championship. Arpita Chakrabarty, a Silver Award aspirant from Sri Sarada Math completed her Adventurous Journey from 17th to 21st of February 2016 at Matha Hill under the Gender Diversity & Empowerment Project. 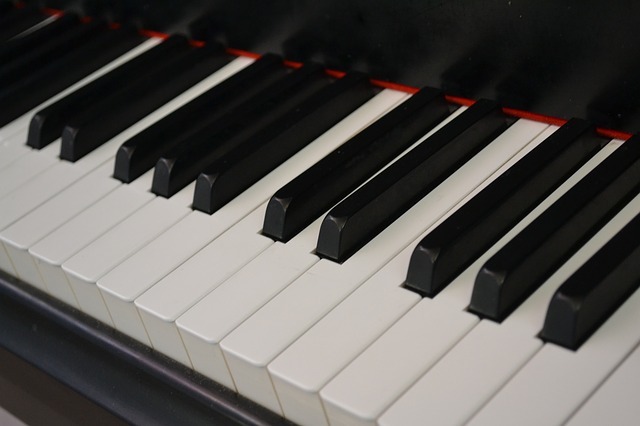 She shares her learning experiences with us in this report. With a rucksack on our back, we started our journey on 17th of February 2016 at 8:00 PM from Howrah Station. Filled with curiosity and excitement, we all boarded the Howrah-Adra-Bokaro passenger train at 11:35 PM, and deboarded the train the next morning at Barbhum station and reached Matha Forest Area for our camping destination. We were 54 in our group including 39 members from Sri Sarada Math and 15 from All Bengal Women's Home. We were shown to our beautiful tents immediately, and soon after enjoying our much awaited breakfast, the instructor divided us into 8 groups for our first climbing session. In this new learning zone we all were inquisitive and thrilled to absorb the new knowledge on the unknown subject -- the Art of climbing. The session began with dissemination of information on different types of boulders like slab, wall, over-hanging and roof; details about normal, pinch, side and jug hold; aim of rock climbing, which is to overcome obstruction; how to judge the easiest way of climbing; where and how to take a proper foot grip, right body posture for climbing down, that too without any equipment. All of this was new to us and we were asked to practice what we had learnt by climbing boulders of approximately 7-8 feet high within the allocated time limit. In the post lunch session we had a class on ropes, knots and hitches. In this class we learnt about Karnamental Rope (made of lead and poly fibre with breaking strength of 9 mm diameter - 1452 kg), history of Karnamental rope, aim of knot making, the standing and running end of a rope, the basic and most important knots, which thumb or safety knot and guide man-middle man-end-man knot. We also learnt that in order to join two ropes with even diameter we should use fisherman knot or reef knot, sheet-bend knot to tie up two ropes of uneven diameter; key knot, bow-line or rescue knot, clove hitch (to anchor), timber hitch (to pull up something) were also few more knots and hitches which we were taught during our session. After this, we were introduced to various instruments used in climbing like: rope, scaling tape, harness (sheet, chest and combined), P A (Peary Alen) Shoe (used for rock climbing), plane and screw carabiner made of high carbon steel, figure of eight (descender) which is used to move down quickly, Ascender (used to ascending up faster), tape, artificial stair, pulley, horizontal, vertical and universal piton, friend, skyhook, stitch plate, chest ascender and runner to name a few. We all felt completely drenched in the rain of knowledge, at the end of the session, extremely exhausted, yet eager to learn more in the days to come. A refreshing tea break was given then, and we all enjoyed the beautiful view of the sunset through the trees, which was just an unforgettable moment. In the evening we learnt some basic rules of camping like: how to have a fresh and encouraging start up, mental preparation, skills to adjust with people around, walking manners, camping manners, communication with local customs, passing information and technical planning etc. After enjoying dinner with our friends, we shared our experiences of the whole day, in which we also got answers to some of our queries. With a wish to have a wonderful and exciting next day, we all went to our tents to sleep and rest. After reaching to B, C should say "Thanks” to Belayer. In case of a sudden fall, C should inform B by saying "Falling/ Belay tight" etc., we were instructed that we should bend our body at an angle of 30 degree, being a Belay man, we should remember that our right hand (left for lefties) is the feeling or guiding hand and left hand (right for lefties) is the breaking hand and most importantly we should follow the right positioning of rope to avoid any accident. After listening to these instructions, it was our turn to experience these exercises. We climbed up various types of boulders and played the role of a Belay man also. Exhausted though we were at the end of the session, just one glass of lemonade acted as true energizer. After lunch and a little refreshing chat, at 3:00 PM we went for a visit to the Pakhi Pahar. Going up and down almost 12 km with the view of Matha hill, Asim sir, one of our instructors, showed us a narrow space between two mountains where wind is really speedy and from where water flows down in the rainy season, mountain ridge, basin (a hollow space containing water), spar, arite (vertical ridge), pass (a space between two mountains through which we can pass, which is also used as trade route) and most importantly the Pakhi Pahar. He informed us how old these hills were, even older than the Himalayas and why they were named Pakhi Pahar. With a lot of memories and new information, we went back to our camping site again. In the evening, we shared our experience and lessons of the day with Chandan sir. After that, we were briefed about camping first aid, snake bite, and burns and we were informed about the next day climbing schedule of Matha Buru (Hill). With a heart full of questions and eagerness to know the unknown, we switched off our torches in the tents to wake up in time the next morning. Saturday morning, 20th February -- we kick started our day with a really funny morning exercise. At 6:00 AM we started our journey to climb the 1200 ft Matha hill. Whenever we were feeling exhausted, we looked at the trail and the bird’s eye view of the scene left behind. After reaching the halt, we were given instructions and showed practically how to climb up and climb down, then it was our turn to perform this feat. We climbed up 150 feet and rappelled down and then we did Terrelian Traversing also. We stored some of the most unforgettable moments in our hearts which we would cherish throughout our lives. After lunch we were given a demonstration on how to pitch a tent, taught techniques for self-cooking and explained three basic needs of camping (water, shelter and fire). We learnt that there are two kinds of shelters -- permanent and temporary, and temporary tents also have two types -- self standing and assembled. We learnt about various parts of tents (outer, inner, ground sheet, central and guard pole), and how and why a tent should be placed at a minimum distance of 100 feet from water source and how pegs should be grounded at an angle of 35 degree. Not only did we get to know about the different shapes of the tents (dome shape, A shape and canopy), different shapes of fire (star, pyramid and tower) but also how to store fire, how to cook food without any utensil or even artificial help for that matter. Somnath sir gave us some interesting information about mountain people and their food habits. 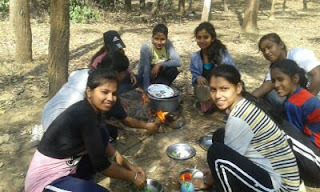 We enjoyed tandoori chicken prepared by Avrajit da, Somnath sir, Souvik sir and then we went back to our camping site. At the camp we prepared for the campfire and enjoyed ourselves the whole night. It was one of the most cordial sessions where all the participants and instructors were sharing their experiences and stories in the friendliest of manner. We danced, sang, recited and performed a skit, but the highlight of the campfire was when all of our instructors sang beautiful songs together and Dutta sir joined them and Chandan sir sang the famous countryside song of Harry Belafonte "Down the way" which was truly mesmerizing. Humming the lyric of "Down the way" we slept in our tents. I took a trip on a sailing ship, and when I reached Matha I made a stop.